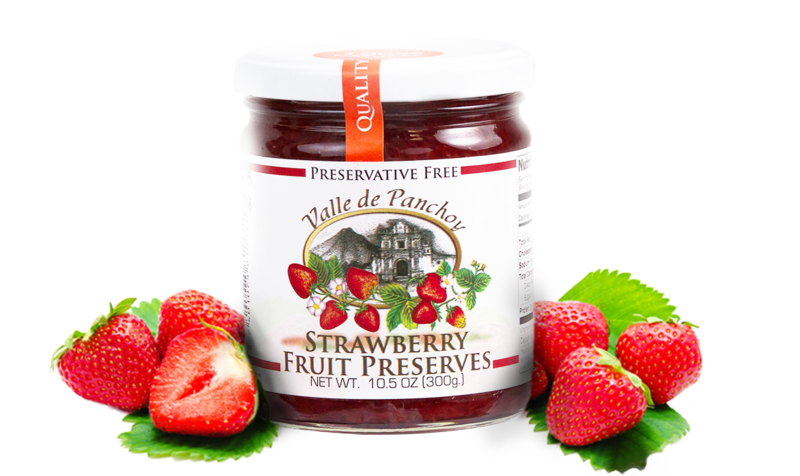 Valle de panchoy – We have a large variety of Fruit preserves. Our main focus is in keeping our products 100% natural, Gluten Free, Preservative Free, Delicious and nutritious. Intense ripe strawberry aroma and flavor with balanced sourness, red color that can vary throughout the season of the year, consistent and pleasant texture. 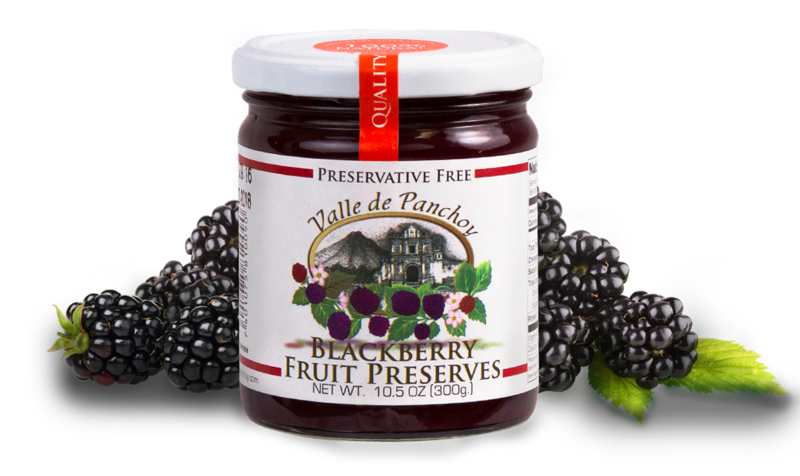 Intense dark purple color, peculiar sourness with a great flavor, consistent texture. 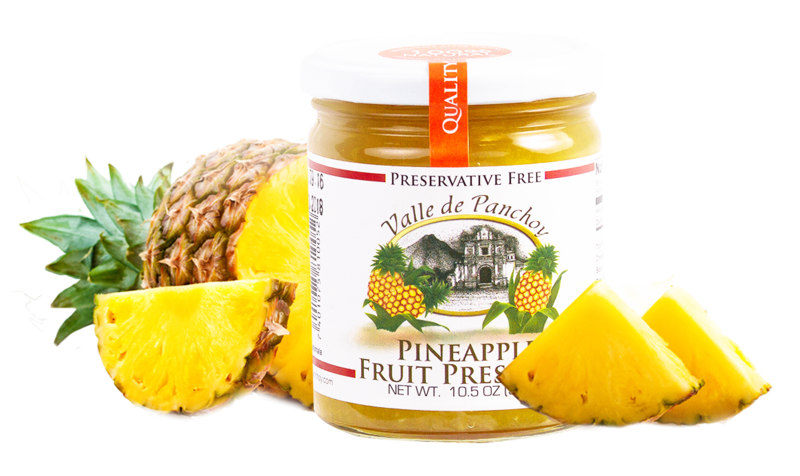 Fibrous texture, with a pleasant aroma, and a delicate flavor of freshened pineapples, the color a really bright yellow. Orange intense flavor, slightly bitter with a tone of sourness, has small pieces of orange peel, that enhances the flavor and consistency of the jelly, really pleasant aroma. 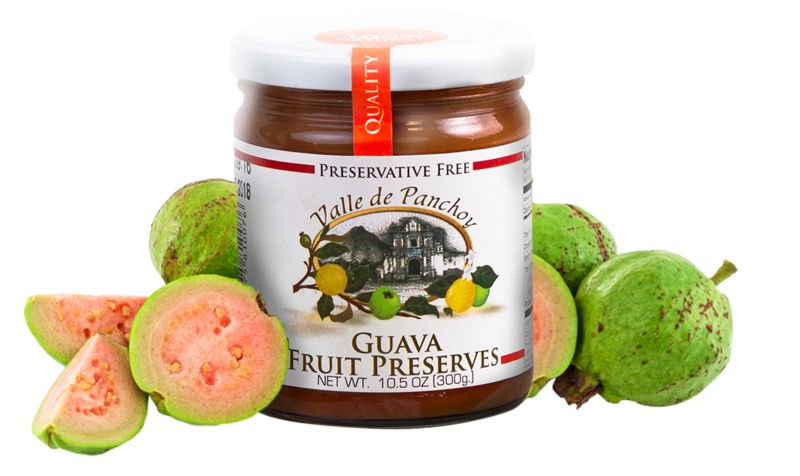 A jelly with great personality, intense tropical guava taste and aroma, salmon color, with clear and creamy consistency. 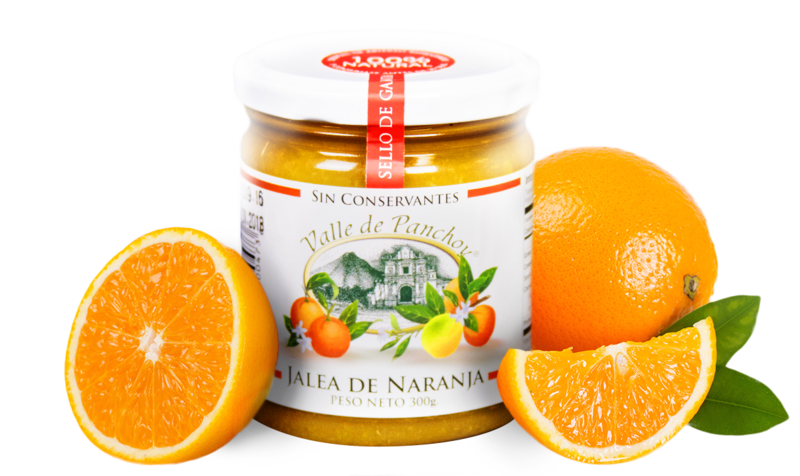 Bright and Intense yellow color, tropical flavor, with a pleasant consistency and aroma. 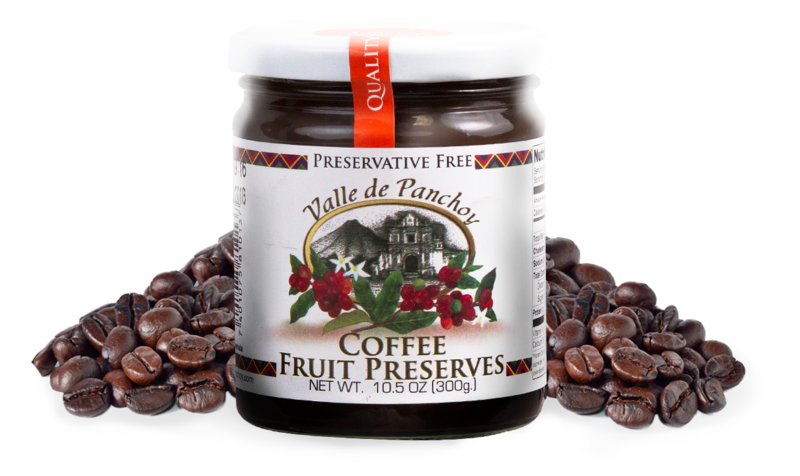 Elegant coffee flavor that lingers in your mouth, with dark color and great consistency. Each 100g total contains 40g of Antigua´s Coffee. Why choose Valle de Panchoy? 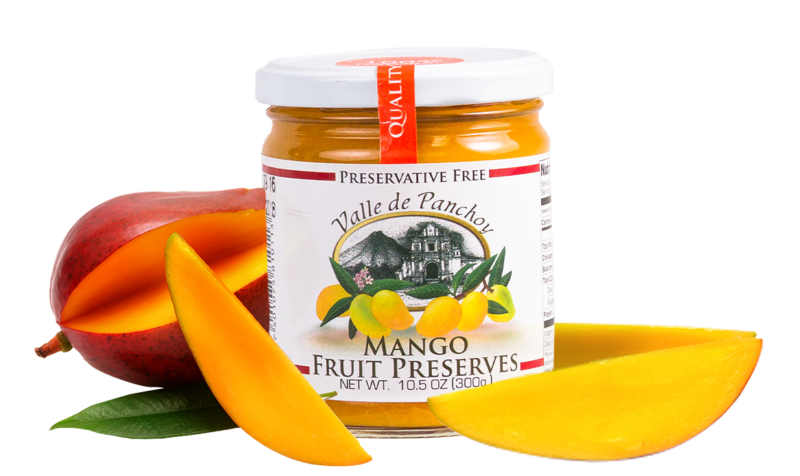 Our products are low in sugar, 100% natural, with no preservatives or colorants, and they are all made with fresh handpicked fruits from small and medium local producers or simply because they are delicious. 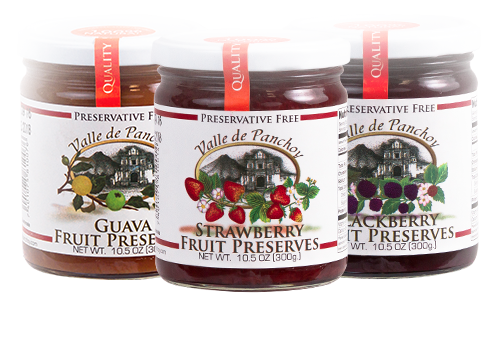 "Valle de Panchoy, was the third capital of Guatemala, a city full history and it was here where Konrad Morjan and her wife Frieda Lorenz founded the first factory of jam and jelly under the name Panchoy and the best artisanal flavors were created, you can now experience more than 40 years of experience in a jar".